Ultra-Trace Element Analysis with High Performance TXRF Spectrometer. Cost and Time-effective TXRF is a feasible alternative to ICP. Total reflection X-ray fluorescence (TXRF) spectroscopy has long been the preferred method for trace element analysis of a wide range of samples. 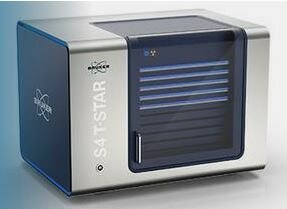 With the S4 T-STAR, users can achieve uncomplicated TXRF for round the clock operation and assured data quality. 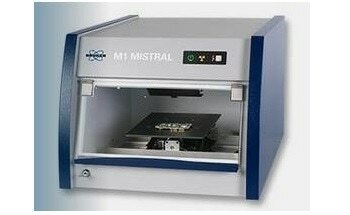 Advantages include helpful software routines, automatic QC procedures, and considerable improvements to detection limits. Users can also benefit from flexibility with sample carriers and types. A range of sample trays and different tools to limit contamination risks and errors and expedite sample preparation. Made for multiple user operation with a maximum capacity of 90 samples. High flexibility enables a direct analysis of multiple types of samples on different carriers. Be assured of instrument and data quality with automatic quality control features. Achieve lowest detection limits in the sub-ppb range with the benchtop TXRF spectrometer. The S4 T-STAR provides significant versatility when analyzing an expansive range of sample types on various reflective carriers, rendering it superior to ICP, which needs liquid samples in a fully dissolved state. S4 T-STAR offers a flexible solution for air, effluent, soil and water analysis, enabling a healthy environment to be recovered; for example, directly measuring contaminants in wastewater, effluents and slurries in the low ppb range to monitor the environment. S4 T-STAR is an effective instrument for preventing food fraud in globalized supply chains. For example, direct analysis of low levels of As in rice can confirm food safety based on WHO/FAO standards. S4 T-STAR tracks catalyzer elements in pharma production based on impending EU and US Pharmacopeia guidelines, such as detection of sub-ppm catalyzer elements in active pharmaceutical ingredients (API) and additives.